Manufacturer of sports accessories and fishing stools. 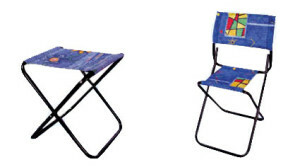 Our range of sports accessories includes camping chairs and stools, fishing stools and uni-hockey goals. Uni-hockey goals are made in four sizes: 45×60, 60×90, 105×140 and 115×160 cm. The goals consist of a frame, a net and two arches. 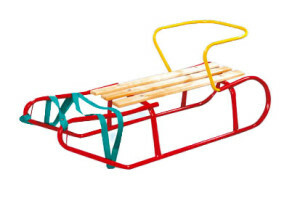 The goal frame is made of powder coated steel. The stretched net is put on the frame, the goal is set in the upright position and then the two arches are mounted. 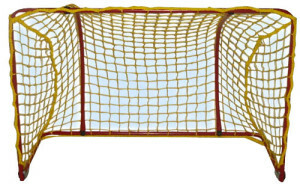 The uni-hockey goal is easy to transport and folds to a compact size. Ideal for schools, nursery schools and youth football clubs. Our Firm has the REPUBLIC OF POLAND PATENT REG. NO. RP 9611 FOR GOAL PRODUCTION.